Dallas, Texas & Atlanta, Georgia July 31, 2013. Today, law firms of all sizes outsource critical yet tedious and time consuming tasks to make their litigation support staff as productive as possible. Due to Medical Legal Spider's expertise, economies of scale, standardized practices and sophisticated technology infrastructure, adding unnecessary FTE's is avoided and expenses for Medical Indexes and Summaries are fully allocated to open case files. MLS offers an opportunity for a Free, no-risk test case to all new law firms to try these services. Law firms of all sizes benefit from Medical Legal Spider's economies of scale, standardized practices and sophisticated technology infrastructure, while allowing Paralegals to be much more productive with case critical tasks. As a result, out of pocket costs are lowered, 100% of medical record processing expenses are allocated to open case files and adding unnecessary FTE's is avoided. 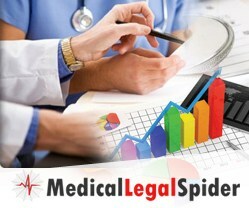 "Our clients rely on Medical Legal Spider to help them contain the costs of managing disparate medical records and other critical case related documents. 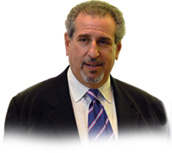 We want all attorneys who litigate bodily injury cases to experience the benefits to their firms and clients' cases from our work," states Rick Litzky, VP of Business Development at Medical Legal Spider. Now through September 30, 2013, Medical Legal Spider will take any raw medical file up to 500 pages and the referring attorney's formatting preferences to create a perfectly organized medical record and Chronological Summary for free! Plus, Hyperlinks will be embedded for instant access to the relevant source documents. There is no better way for busy litigators to experience how they can improve efficiency while lowering costs. Automobile & truck accidents, workers' compensation, disability (SSDI, LTD, IDI), slips and falls. Large volumes of medical records found in mass tort litigation, product liability and class actions. Custom data extraction for pharmaceutical research, population health management, personalized medicine and electronic health record conversion. All records are transmitted via secure, Industry Standard Secured File Transfer System protocol and managed by experienced, trained reviewers who utilize our proprietary semi-automated software tool. This combination of applied technology and skilled staff allows MLS to work effectively with both text and handwritten medical records and notes. Medical Legal Spider builds on CAP Digisoft Solutions' years as an experienced specialty provider of medical record sorting, organizing, indexing, identifying missing medical records, factual summarizing and other medical data extraction services. In fact, the company has processed over 40,000 medical-legal cases since 2007.